Two years ago I was excited enough about Web 2.0 tools to actually start this blog. I started with Wordle, a simple word cloud generator. After all this time, I must admit I am still passionate about using Wordle. 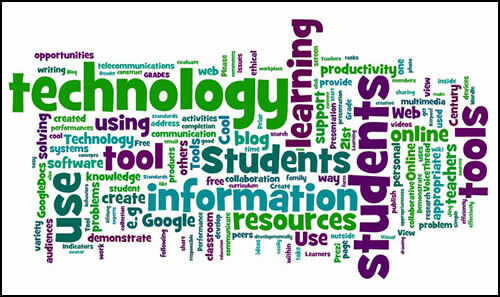 I find myself using it regularly in my teaching, even though several new word tag generators have evolved, including Taxedo, Tag Cloud, and the ever-popular WordPress rotating tag cloud. Still, I love Wordle for it’s simplicity. Just go to the Wordle website, type some text into a box, click a button and your text becomes a Word Cloud. Anyone can do it, but the real trick is in how it’s used. After all, words that appear more frequently within the text appear larger in size within the word cloud. Copy and paste the text from a few good articles about a specific topic into Wordle to get the main ideas and vocabulary. Use it as a starting point for a lesson to help students construct knowledge. Copy and paste student generated text into Wordle for self-analysis of writing. Words and phrases that are overused will jump out. Wordle a current event topic, then use it to generate a classroom discussion. My goal this week is to see if we can build on the Wordle ideas we started a long time ago. Please view the list of ideas and contribute ideas of your own. Qwiki is a multi-media search engine designed to improve the way people experience information by appealing to users on a human level. A Qwiki search delivers content in the form of a narrated, interactive slideshow that tells a story. Although it’s relatively new, there are millions of topics available for searching now. 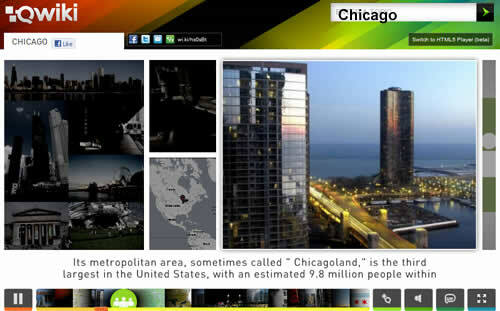 View Oak Park, Illinois and over 3,000,000 other topics on Qwiki. Dipity is a cool tool for creating multimedia timelines with a variety of viewing options. Click on any event in the timeline to view details and images, or choose to view as a flipbook, list, or map instead. Civil Rights Hot Spots on Dipity. 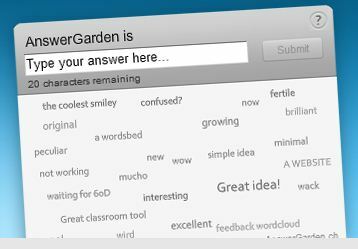 What is your favorite Web 2.0 tool?… at AnswerGarden.ch. Two teachers at Brooks Middle School in Oak Park are using VoiceThread to spread the word about Person-First language. Learn more by viewing their VoiceThread, then record a comment to make your pledge on the appropriate page. Please pass this along and spread the word!